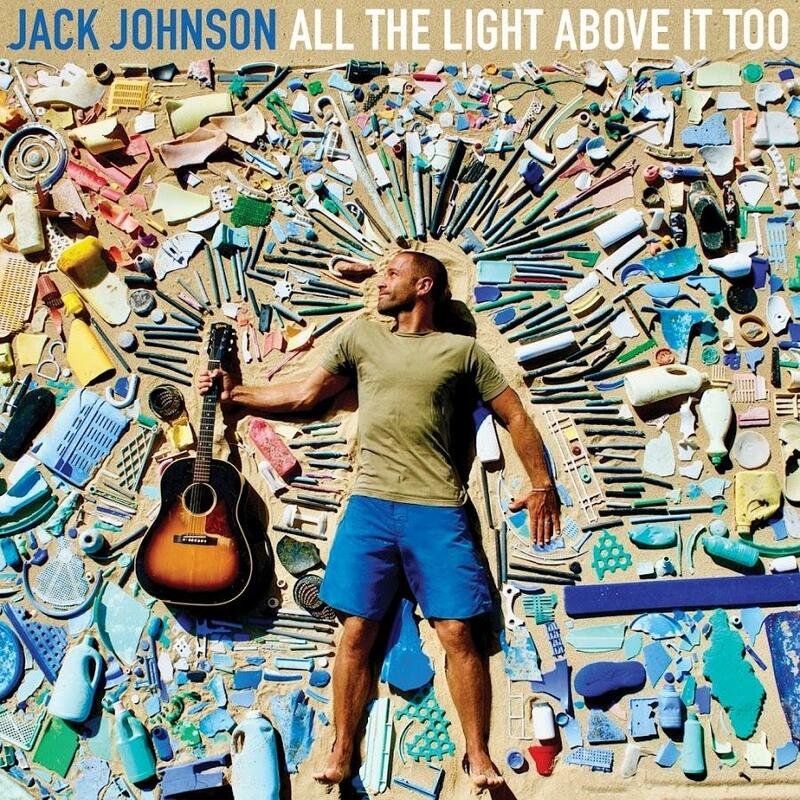 Stellar singer-songwriter Jack Johnson returns with his long-awaited new album All The Light Above It Too. In shaping the emotional terrain of his seventh studio album, Johnson drew from life-changing experiences like his recent sailing trip through the North Atlantic Ocean with 5 Gyres (a nonprofit organization focused on fighting plastic pollution). ‘Being out on the ocean with no distractions, no TV and no cell phones, that really kickstarted the songwriting process and helped me work through things that had been on my mind,’ notes Johnson, whose journey was chronicled in the 2017 documentary The Smog of the Sea. Jack Johnson grew up surfing and playing guitar in Hawaii. Since 2001, he has released 6 studio albums and 2 live albums that have sold over 25 million copies worldwide. Jack’s last album, 2013’s From Here To Now To You, debuted #1 on the Billboard Top 200 Albums chart, Johnson’s fourth chart topping album to date. His Brushfire Records label and touring crew have been leaders in the greening of the music industry and his All At Once social action network connects fans with local non-profits at each tour stop. Jack, with his wife Kim, founded the Kokua Hawaii Foundation to support environmental education in Hawaii’s schools and communities, as well as the Johnson Ohana Foundation to support environmental, art and music education worldwide.